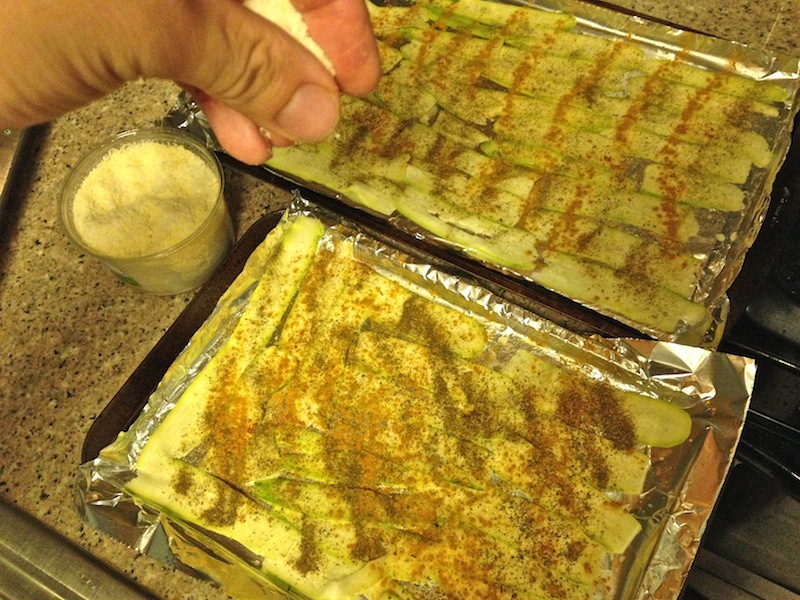 Parmesan Zucchini Chips | Keep It Up, David! 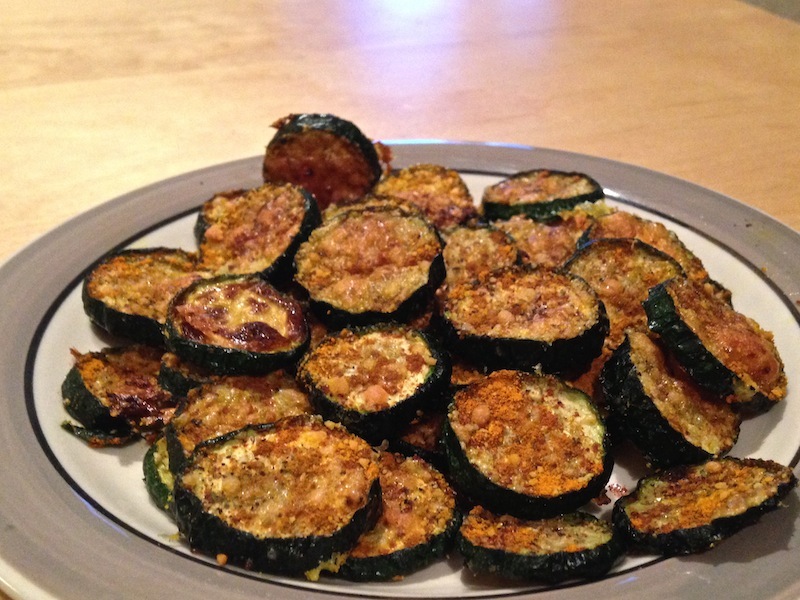 These are extra-fancy zucchini from the LA Salad Company. 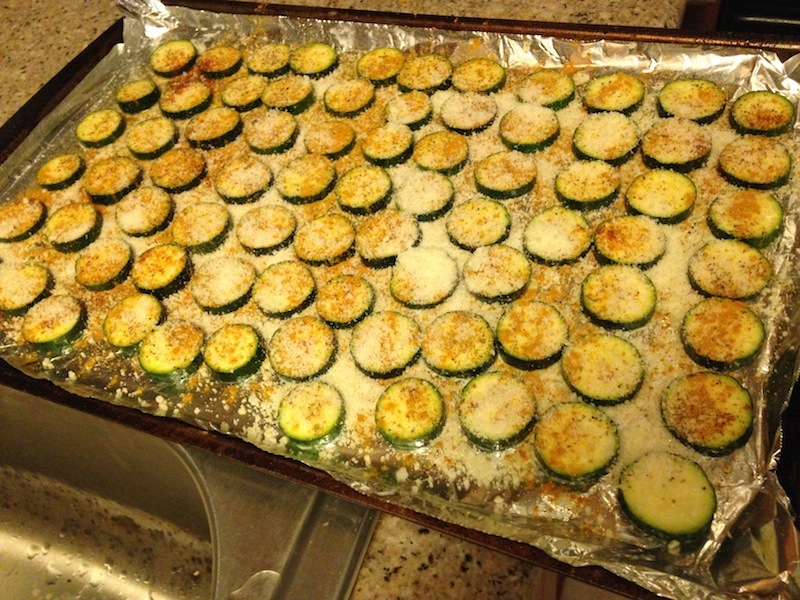 (For a definition of ‘extra-fancy,’ in regards to zucchini, check out the fifth paragraph of this post.) First, I pre-heated the oven to 425 degrees, and then I took two of these guys, peeled them, and then used the peeler to make long zucchini ribbons. These ribbons went into a bowl, and I added a few tablespoons of cashew milk. (You can use any kind of nut milk, or regular milk – whatever you have.) The idea is that these guys will get sprinkled with spices and toppings, and you want to give those toppings a little something to stick to. The final ingredient was grated parmesan cheese. I only used a couple tablespoons total on all the ribbons. WHOOPS. 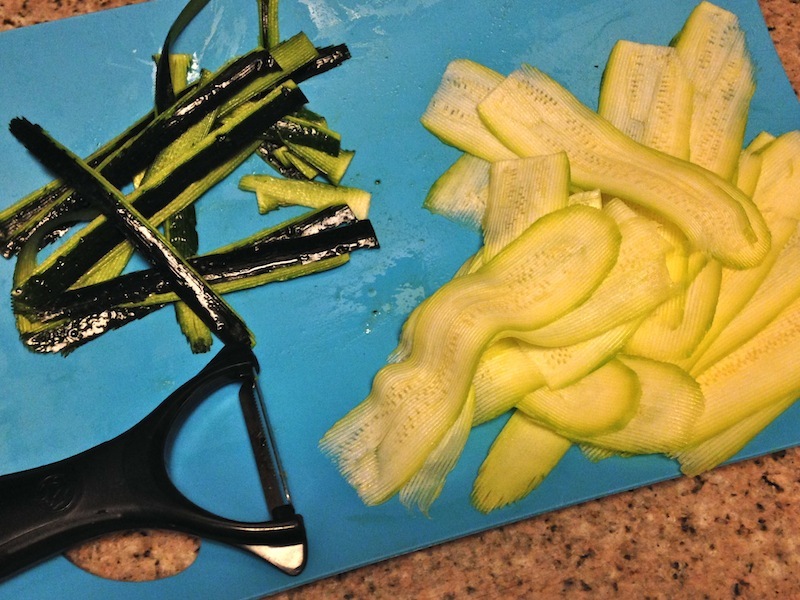 So… check your zucchini frequently, or cut them a little thicker, which is what I did for attempt number two. RELATED CONTENT: Lots of recipes for healthy, easy dishes on my Recipes page! 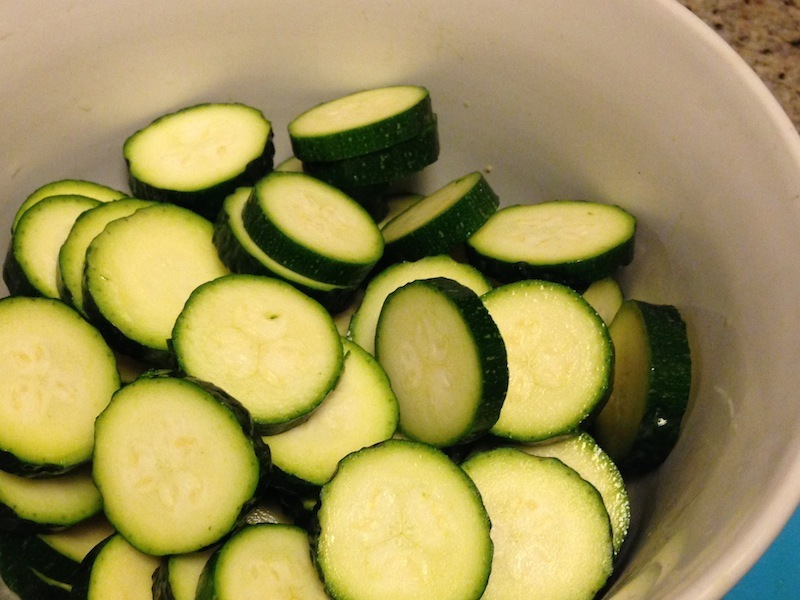 This time, instead of using the peeler, I cut the zucchini into thin rounds. Thicker than the ribbons, but still pretty thin. I used four zucchini this time. I did all the same things: soaked them in cashew milk, laid them on a tray, sprinkled them with spices and cheese. That little bit of thickness made all the difference. 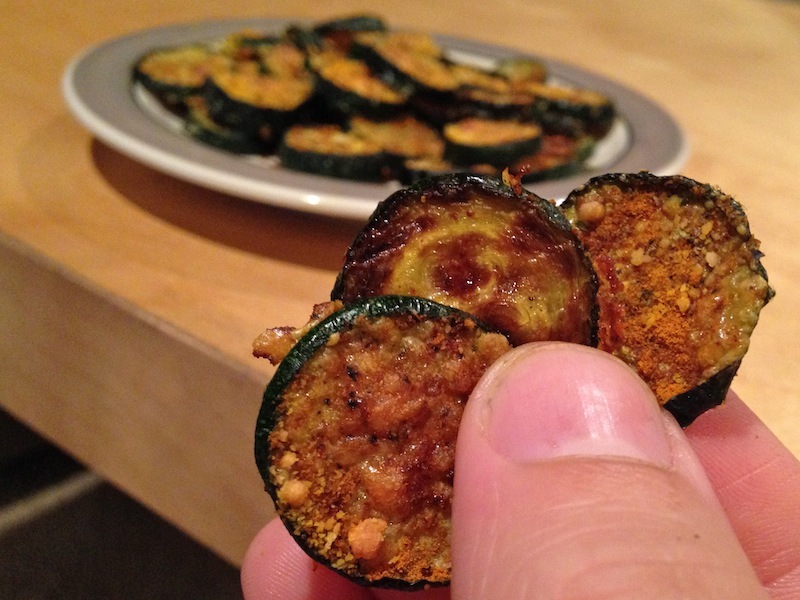 After 25 minutes in the oven, I got some delicious golden brown zucchini chips! They were fantastic! Crispy on the outside, although still a little tender in the center. 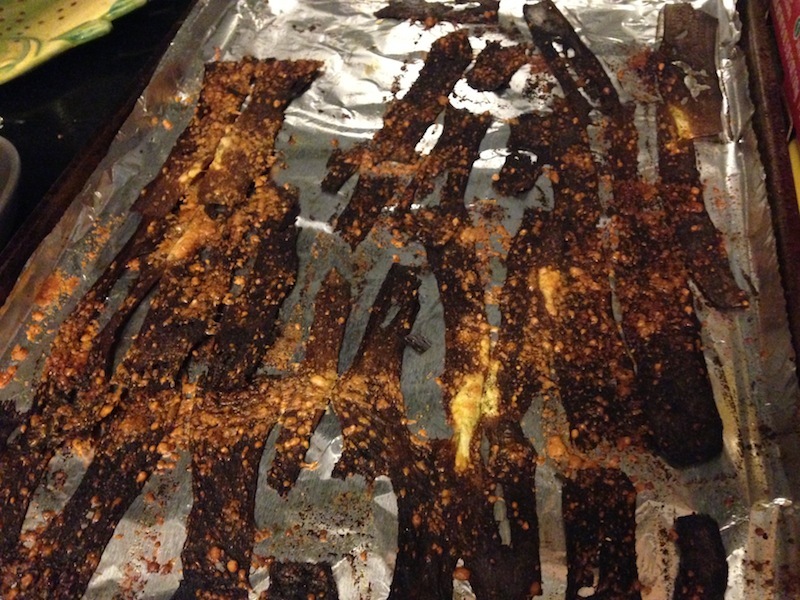 The spices added a lot of flavor – and the cayenne added a nice touch of heat. 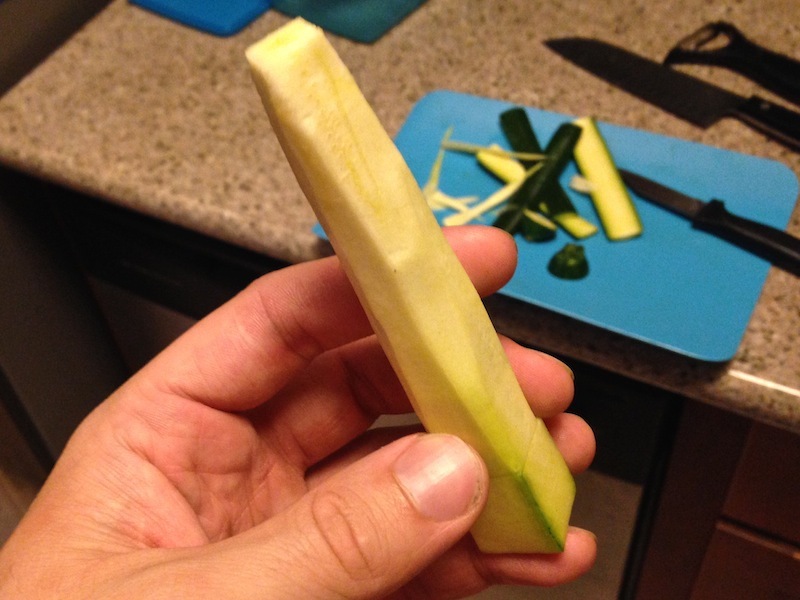 In honor of my recent race at One World Trade Center, I wanted to see if I could carve a zucchini into a little miniature version of that building. In theory it’s a pretty easy building to carve (start with a long block with perfect squares at either end, and then four cuts, trimming off the top corners) but doing it so it looks right it a bit tougher. I botched my first attempt entirely, and my second attempt (and my last attempt, as it was my last zucchini) was mediocre at best. 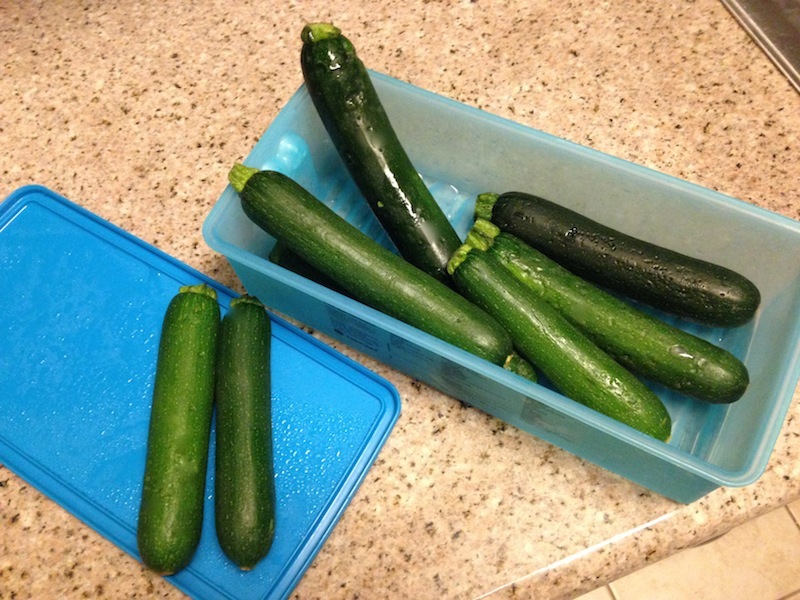 I texted a picture to my architect sister, and she had some very helpful advice: “You need a bigger zucchini!” She’s right. 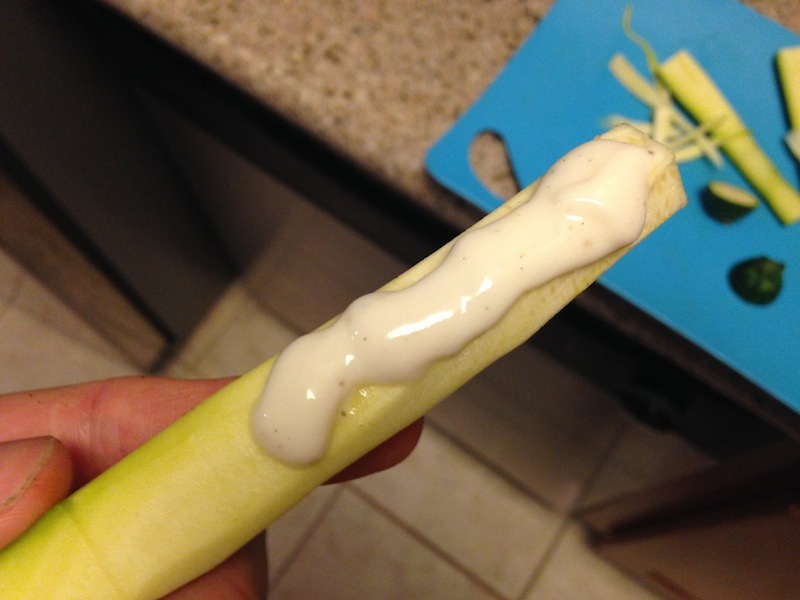 At least my Zucchini One World Trade Center tasted good with ranch! This entry was posted on Wednesday, May 27th, 2015 at 12:01 am and is filed under Uncategorized. You can follow any responses to this entry through the RSS 2.0 feed. You can leave a response, or trackback from your own site. Got one more recipe to add on to my snacks list.